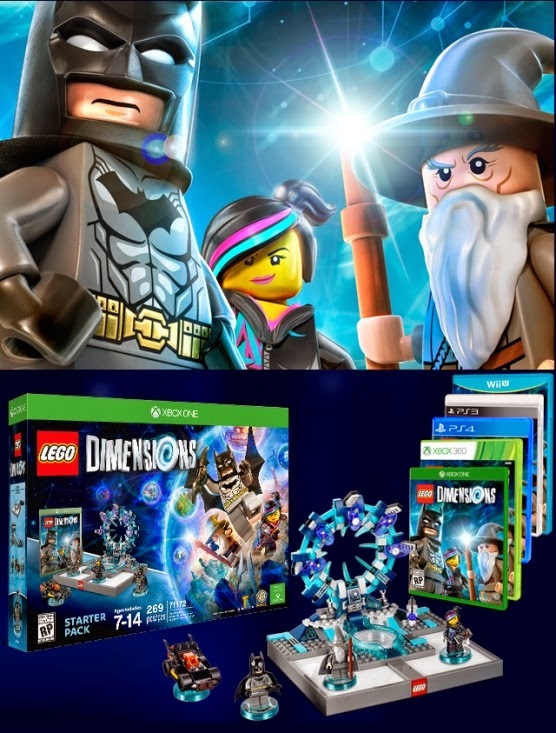 In a few months from now, September 27th, 2015 to be exact, LEGO TOYS has plans to release a brand-new Video Game called " LEGO DIMENSIONS" that will feature Batman among many other movie properties. It's gonna be available for the PS3, PS4, XBOX ONE, XBOX 360, Wii, and will also come with a "Starter Pack" that will include a few figures and enough bricks to make a "Time Portal Tunnel". Be sure to check out the movie trailer down below, it looks pretty FUN! "When a mysterious and powerful vortex suddenly appears in various LEGO worlds, different characters from DC Comics, The Lord of the Rings and The LEGO Movie are swept away. To save their friends, Batman, Gandalf and Wyldstyle bravely jump into the vortex and quickly find themselves fighting to save all of LEGO humanity. Let creativity be the guide to a building and gaming adventure – journey through unexpected worlds and team-up with unlikely allies on the quest to defeat the evil Lord Vortech. Play with different mini-figures from different worlds together in one LEGO videogame, and use each other’s vehicles and gadgets in a way never before possible. LEGO Bad Cop driving the DeLorean Time Machine…why not?! The LEGO Ninjago Masters of Spinjitsu fighting alongside Wonder Woman...yes, please! Get ready to break the rules, because the only rule with LEGO Dimensions is that there are no rules."